Just in time to celebrate Derby festivities from this amazing downtown move in ready Condo! This gorgeous 2 bedroom, 2 bath, 4th floor condo located in Waterfront Park Place is perfect for entertaining. With amazing natural light and an open floor plan this condo features an updated kitchen with an island and bar seating, separate open dining area, beautiful hardwoods, granite countertops, and custom cabinetry. You will enjoy amazing river views outside from the cozy balcony or from almost every room inside including the spacious master suite and balcony. Parking is easy and convenient with 2 garage spaces provided on the same floor as the condo. 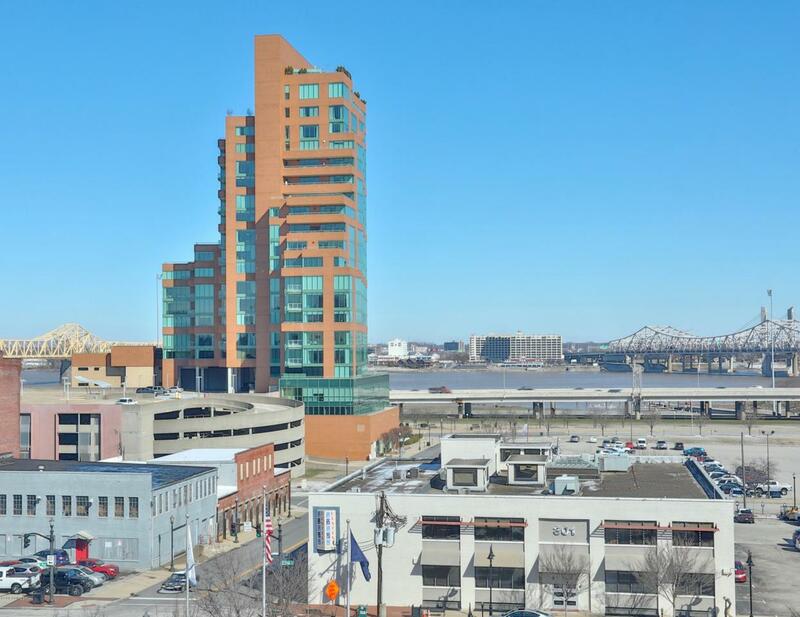 Waterfront Park Place offers a rooftop pool, fitness center, club room, party room, yoga room, bike storage, 24 hour security.This is downtown living at its best, call today for a personal appointment.